Coupons! 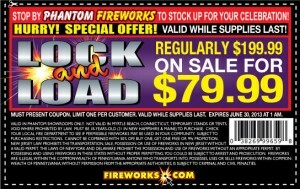 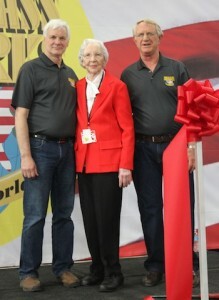 Save money on your fireworks at TNT Fireworks, Jake’s Fireworks aka World Class Fireworks, and at Phantom Fireworks. 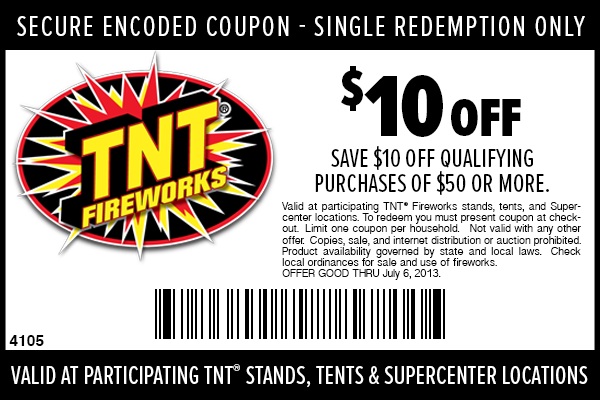 Some of these expire soon, so grab them while they are still good! 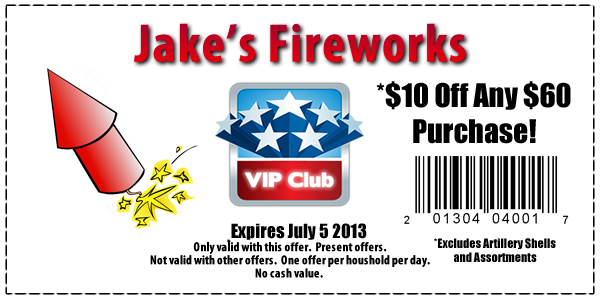 Save 10 buck on your fireworks when you purchase $60 or more at Jakes Fireworks. 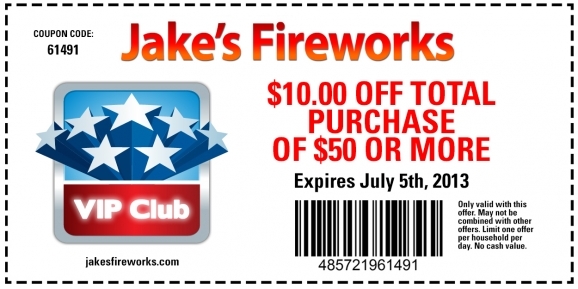 Expires July 5th. 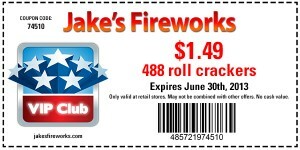 For only $1.49 you can have 488 crackers. 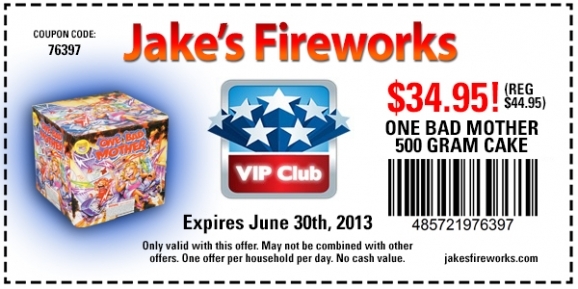 Expires June 30th. 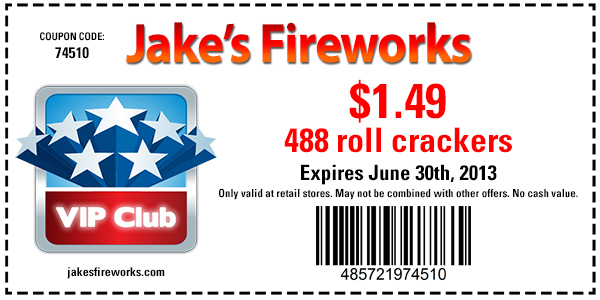 Get Jakes Fireworks One Bad Mother 500 gram cake for $34.95. 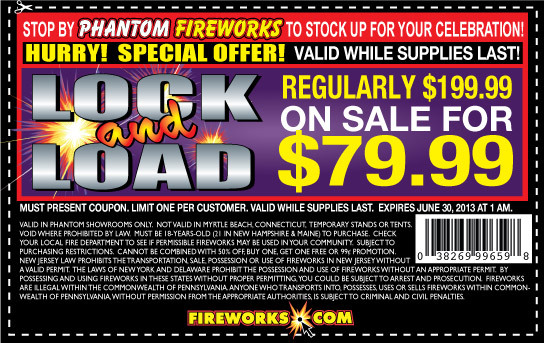 Normally $44.95. 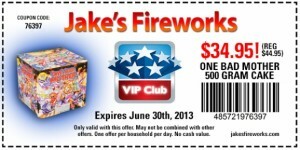 Expires June 30th. 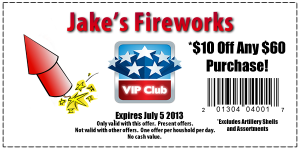 Get $10 off an order of $50 or more at Jakes Fireworks. Expires July 5th.